Quadmark, established in 1999, is an international consulting firm with consultants globally spread out to help their clients improve their everyday business processes. Quadmark makes companies successful by inspiring transformation and helping people to perform. They put some of the best minds in their industry to work, pushing productivity through training and coaching, sales enablement and business consulting. Quadmark’s international growth brought challenges across the organization, resulting in ineffective communication between groups across multiple time-zones and locations. 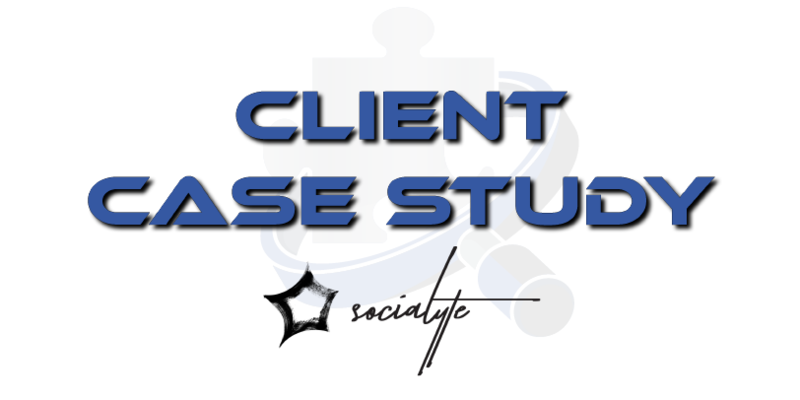 Their use ofspreadsheets and text documents could not accommodate the size and complexity of their projects; with their business specific processes, their need for ease of accessibility, and their global client base, they needed a platform that was very specific. 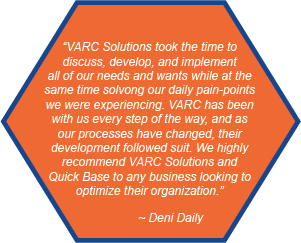 Quick Base and VARC Solutions were able to completely fulfill all of their needs and more; Quick Base is a cloud-based platform allowing Quadmark to access their information from anywhere, VARC Solutions created a comprehensive project management system that is user friendly, and VARC Solutions built all of Quadmark’s business-specific needs, including an integration with QuickBooks using the Q2QConnect Tool. Case Study – AVMAC L.L.C.